This would be the most effective approach, by far. The problem is how to achieve it. So let's frame the question: How do you convince a group of smart billionaires that their lives would be better if everyone lived better? I think that between carrot and stick, stick won't work. Stick won't work. Stick is the situation where you bring up horrible past events like the French Revolution, like communism in Russia, China, Cuba, and tell them that if things get bad that could happen here. The reason I think this won't work is that firstly they'll correctly see that things aren't anywhere near as bad as the instances that gave rise to the various revolutions and that the "bread and circuses" situation is much better, and finally that the means of suppressing revolt are vastly improved. Finally making it a point of pride and patriotism that they can play a part in a brave new world. Universal merit-based junior college and university education: Their labor pool will be better trained. The products will be more upscale. More money to be made exporting innovative products. A safer and healthier workplace: less time lost to illness or injury. Cleaner air and water, nationally: again, less time lost to illness. A workforce that makes a living wage: people with money to spend on the goods being produced. And the closer: A feeling of pride that they've done something not only profitable that benefits them, but also good for the country and morally right. So I'm going to disagree with you. The problem isn't how to achieve it. The problem is how do you get enough people with political savvy, idealism, and the technical intelligence they'll need to deal with the billionaires, and most importantly the courage and the will to start it and stick to it as a career. A new Golden Age won't be built in a day. It is frowned upon to use the phrase "prick up" when referring to individual number 1.😁 I wonder how well defended Montenegro is against CIA infiltration. Probably not very. The problem is how do you get enough people with political savvy, idealism, and the technical intelligence they'll need to deal with the billionaires, and most importantly the courage and the will to start it and stick to it as a career. This is the problem. This is how to achieve it. It's been my experience that financially successful people tend to conflate their own achievements with wisdom in other areas. Most billionaires are egotistical and intractable when it comes to their own opinions. You can see this in the daily news. It will be hard to convince them of anything. Still, in a kind of feedback loop, US economic elites have undoubtedly been influenced by the very propaganda they have paid for, justifying income inequality. And most people, across the board, are strongly influenced by convention and the tenor of the times. I think the best bet would be the election of increasing numbers of officials who are against income inequality. They would be the most influential, on the front lines of cultural salesmanship to billionaires. Just as FDR and LBJ took advantage of liberal majorities, to enact their programs, we need a liberal government to achieve real change. As of now, the right wing controls the media and politics has been pushed far to the right. This is something we have to overcome. The way to go about it is long term activism by passionate, committed liberals. There is no other substitute. Perhaps that is the wrong stick... This stick I would use a short stay at one of those 'for-profit', private prisons that Republicans are so fond of. Criminal acts performed while hiding behind the corporate mask should prosecuted, and individuals should be sent away. Let’s see, what type of carrots do billionaires like to eat? It seems self evident that their favorite root vegetable is accumulation of wealth. They would not be billionaires if they did not have an insatiable craving for it. Convincing them that this diet is bad for their health is indeed a hard sell. Convincing them to take their medicine (like wealth tax, etc) is also a hard sell. Their wealth , somehow, is an embodiment of their personhood—that to separate a person from property is to attack their human existence. Some billionaires (Gates, Buffett, & Carnegie in his later years) understand the ugliness of poverty, without being shown. These relatively altruistic animals developed a healthy appetite for philanthropy, but seem to also shy away from accumulation of power. They have recently challenged their peers to give more back to society, which does help. Other billionaires (Trump, Murdoch, Koch’s, Mercer, Sinclair, DeVos, Randolph Hearst, etc) have developed an unfortunate appetite for accumulation of power. They feed their egoistic cravings with media acquisitions, and political influence. Not interested in philanthropy, and altruism, they have the egotistical belief that they, (and only they) are the true patriots, so appealing to their sense of pride, and the common good might not work. The Forbes list is packed with monopolists, retailers, retail monopolists, the heirs of retail monopolies, real estate magnates, etc. Now, a whole batch of them moved directly into government—and we have the most corrupt and incompetent executive branch in memory to show for it. At some level of extreme wealth, money inevitably corrupts. On the left and the right, it buys political power, it silences dissent, it serves primarily to perpetuate ever-greater wealth, often unrelated to any reciprocal social good. Billionaires should not exist — at least not in their present numbers, with their current globe-swallowing power, garnering this level of adulation, while the rest of the economy scrapes by. ..........why should anyone be proud to brandish their billions, when there is so much suffering in the world? if we tolerate the supposedly “good” billionaires in politics, we inevitably leave open the door for the bad ones. And the bad ones will overrun us. When American capitalism sends us its billionaires, it’s not sending its best. It’s sending us people who have lots of problems, and they’re bringing those problems with them. They’re bringing inequality. They’re bringing injustice. They’re buying politicians. Don't know why you would say that. I know the person's views are foolish, but like to articulate my responses through ideas for intelligent explanations from others. And they had a good point about the media, since it is mostly liberal. Is it really? Facts can't be altered even if they wind up being true to a more liberal narrative. I personally used to align myself with a more conservative mindset up until the 2004 elections until I decided to stop viewing the world with a narrow view. Because of that enlightenment everything is more clear and the correct path this country should travel. The media may sound liberal to some just because they prefer alternative reality. I couldn't see your link because it doesn't link to that page, so I copied the URL into a browser and got the NY Times ... but I'm not a subscriber so it wouldn't show me the article. Here's what I think about this. The amount of money made by people as a whole (the whole economy) represents, roughly not exactly, a measure of the robustness and productivity of the economy. Those billions represent value made by the companies. The billions should be there, but possibly taxed to some degree. The question is to what degree. If you tax completely away great accumulations of wealth, then only the government can do great things. I think that's a mistake, because government is about safety and procedure and greatness takes imagination, nimbleness and daring. I'm for raising taxes. Maybe a one-time tax on net worth something like 10% for people with un-invested net worth above $50 million (i.e. sitting in a bank account or similar safe vehicle). Maybe more than one time to decrease the debt, which is now over $13 trillion. But I'm not in favor of abolishing billionaires by taxing away their net worth. The news media isn't liberal in the slightest. It's Corporate. Which leans conservative. While they appear to support Democrats in some cases, that's an instance of them trying to get the best ratings. There's no major news media outlet that's as liberal as Fox News is conservative. If there were a Liberal version of FOX News, you'd have endless stories of how poor people are forced into prison because they can't afford bail while Roger Stone is released on his own recognizance. You'd have stories about ALEC, and constant stories about gun violence and how bad it really is. You'd never hear someone on the network say something along the lines of "This is the day Trump became President". You'd also have stories about how bad wealth inequality has gotten daily. Most media outlets are fairly moderate -- not liberal. They fiscally lean conservative, but socially lean liberal. When people say the media is LIBERAL what they are doing is attempting to move the scale to the right even more. They're taking the proverbial line in the sand and moving 'left-wing' from "Everybody left of George W. Bush" and moving it to "George W. Bush and Leftward". When really Hillary Clinton should be a moderate, but with Conservatives drawing the scales she's far left wing (Making Bernie and AOC really far left wing). This plays to their advantage and allows further right-wing people to claim moderate (which gives them a lot more influence with other moderates) while not allowing moderate dems to claim moderate at all. By dismissing the Moderate Corporate News as liberal, we're letting them draw that line in the sand. Moderate = Liberal. This has, in some ways, backfired as moderate leftists have become more loyal to the Democratic Party (though should we go too far left, they may jump ship). But moderates have moved themselves into the conservative category (despite being on the other side of the line as far as conservatives are concerned) because many moderates prefer 'balance' (Both sides are bad!) to actual issues. That's why conservatives are constantly moving that line back. And the idea that the media is liberal is a big part of how they're doing it. They're defining anything not PURE CONSERVATIVE as Liberal. Brilliant insight! Now THAT'S the kind of answer I was looking for. Where did you learn this theory? The root cause of the rise of malignant conservatism in the US, for the last 35 years, is an overwhelmingly conservative media. The vast majority of talk on US radio is by conservative talking heads. They parrot conservative think tanks, (which greatly outnumber liberal ones), they spread conspiracy theories and they spew racial hate and hate of "liberals". Even NPR, widely portrayed as liberal by the conservative media, makes an effort to represent both left and right equally. Contrary to propaganda, NPR does not advocate a political point of view. Patrick Soon-Shiong - Tribune Publishing Co.
Because of the public's constant exposure to extreme right wing points of view over the last 35 years: What used to be conservative slanted commentary, is now perceived as moderate. What was considered moderate is now regarded as liberal. And what once would have been widely labeled liberal is now considered radical. There has been a shifting of the entire political spectrum to the right. Take the case of MSNBC, owned by COMCAST and considered the farthest left in their presentation of mainstream TV news and commentary. Yet any in-depth coverage of labor issues or the wealth gap is banned ... As is anything left of the traditional rivalry between the two parties. Despite very respectable ratings, Ed Schultz was fired from MSNBC for too much concentration of labor issues and unions. The list of commentators who were fired for being too far left include Sam Seder, Keith Olbermann and Cenk Uygur. MSNBC, under its conservative management is only moderately left. Any discussion of, IMO, the most important non-environmental issue of our times, income inequality, has unpleasant results for the commentator that dares persist. Presumably because of her top ratings, Rachael Maddow has been able to get away with it from time-to-time. But she did not persist. Not important. It is a somewhat snarky editorial, that I personally do not subscribe to, but reflects the degree to which pitchforks are out. It looks like a good issue for Dem's to run on in 2020. 76 percent of registered voters believe the wealthiest Americans should pay more in taxes. Here's what I think about this. The amount of money made by people as a whole (the whole economy) represents, roughly not exactly, a measure of the robustness and productivity of the economy. Those billions represent value made by the companies. The billions should be there, but possibly taxed to some degree. The question is to what degree. The amount of money made by people as a whole (the whole economy) represents, roughly not exactly, a measure of the robustness and productivity of the economy. Those billions represent value made by the companies company executives, and employees of the company . The billions should be there, but possibly taxed to some (higher) degree. 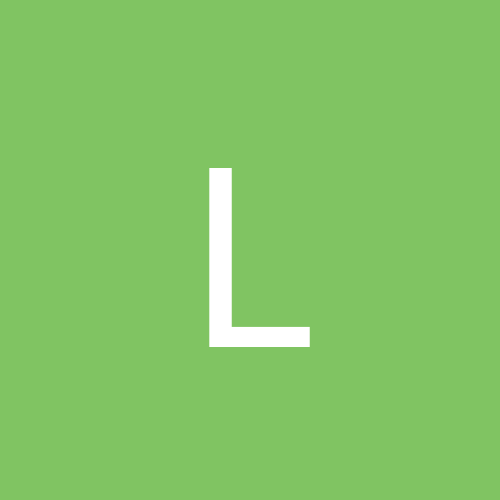 The question is to what degree, and what method should be used. However, there are many others that are not doing great things. Some are doing harmful, despicable,(quasi-legal) things that harm the overall economy. Like 2008. I have no problem with the accumulation of vast wealth by individuals, although there must be some theoretical limit when concentration of wealth among too few individuals breaks the capitalistic model. It is how they got that wealth, and what they do with that wealth that has a out-sized impact on the rest of us. Monopolistic practices, exploitation of workers, consumers, and / or taxpayers are all too often used to accumulate, or maintain that wealth. also guilty of violating hourly wages laws for it's lowest paid employees. Every single year since 2005. I know (despite Citizens's United decision) corporations are not people, and you can't throw them in jail. But there are real people within those corporations making these decisions to exploit workers through wage commoditization, exploit consumers through antitrust practices, and evading taxes. It is built into the business model of a substantial portion of Corporate America. If the board members of these corporations are held legally, and financially responsible for these criminal violations, they would stop immediately. If an individual steals from a corporation, or from another individual they go to jail. When a corporation steals from an individual, they pay an insignificant fine as the cost of doing business. It's like telling a bank robber, "If you steal a million dollars from that bank, we will fine you $100". That is no deterrence whatsoever. Elizabeth Warren is advocating for a wealth tax of 2% annual tax on wealth over $50 million, 3% annual on wealth over $1 billion. I have several wonkish problems with her plan, but the rates seem reasonable. AOC proposes increasing the marginal tax rate on income above $10 million to 70%. Peter Diamond, a Nobel laureate in economics, and the inequality expert Emmanuel Saez, argue in favor of a 73% top income tax. set the tax rate on long-term capital gains and dividends so that it is the same as the tax rate on ordinary income. repeal stepped-up basis and tax unrealized capital gains at death. a method to claw back the benefits of tax deferral from high-net-worth taxpayers. I agree. Sounds like your plan is a variation of Warren's annual wealth tax proposal. I generally agree with the spirit, but have technical issues with her implementation. It is difficult to explain wealth inequality, it's implications, and taxes on the campaign trail. No one is going to be chanting "Repeal the stepped up tax basis! Now!" This is the challenge for any 2020 candidate. Here's the thing. When it comes to the news media, the slant of the news is going to depend on what sells. A liberal news media and a conservative news media can actually seem quite similar, depending on what they are reporting. Much of the time, the difference can be quite subtle, especially when reporting local news. The more actual fact in a piece, the less slant there is room for. The news media goes through cycles of liberalism and conservatism, just as society does. With the ever-changing frontier of communications, traditional news media is still struggling to keep up. And in all honesty, what is considered Liberal in the US is often quite centrist many other places. So. As far as most people in the media, they might tend towards being liberal, but the news itself trends towards making money for the owners of said media companies. And in all honesty, what is considered Liberal in the US is often quite centrist many other places. Twenty three years ago, living in Canada, I would have been consider a slightly left of center centrist. Like on a scale of [-10,10], in Canada I was -0.1. Here in the US, I've always been a liberal. Say -3.5, roughly. I'm pretty much the same, politically, but the society is much more conservative. Give the man a cigar. No wait, cigars are bad for you. Give the man a chocolate cigar. Godiva chocolate: tastes better than a Medieval naked woman on a horse. 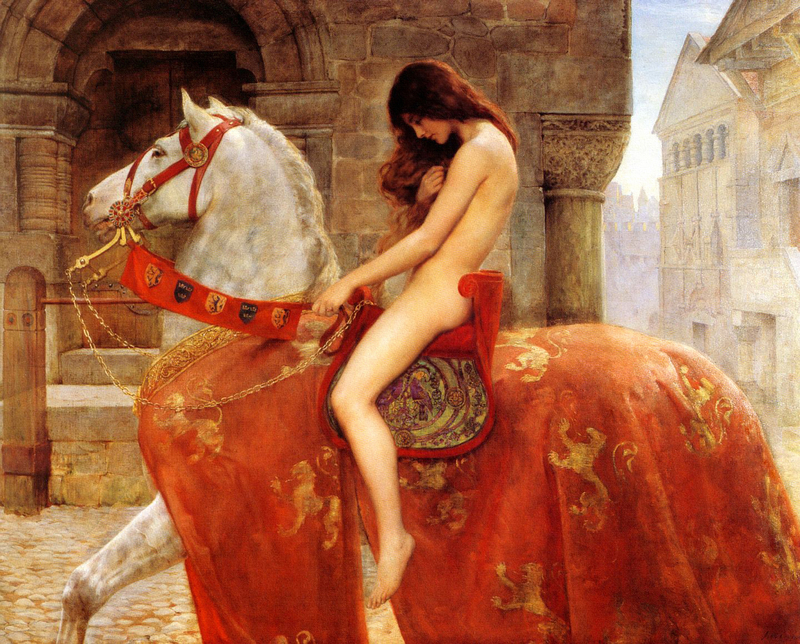 Lady Godiva seems to hev been mythical,but had absolutely nothing to do with chocolate. As Cecelia so brilliantly laid out most news media is just corporate. TV news is nothing but corporate bullBad word where they pretend to have two points of view but just kick certain issues around through predetermined goal posts. TV news stations choose to focus only on the issues they want you to know and fight over while ignoring all kinds of news that doesn't fit the corporate agenda. I listened to an interview with Ed Schultz. He stated that he was fired for continuing to cover Bernie's campaign after he was ordered by MSNBC management to stop. Hey Moron. You are in the Liberals Only room. almost 3k posts. Ought to know that. Link tv is one of my favorites (democracy now). Yes, and I am a Progressive. I belong here. I was telling the Conservative troll ANGEL to get out of LO. i agree. Balls to the walls is the only way to go.